It just wouldn't be a debate in 2016 without people making multiple parody accounts faster than you can say "better temperament." 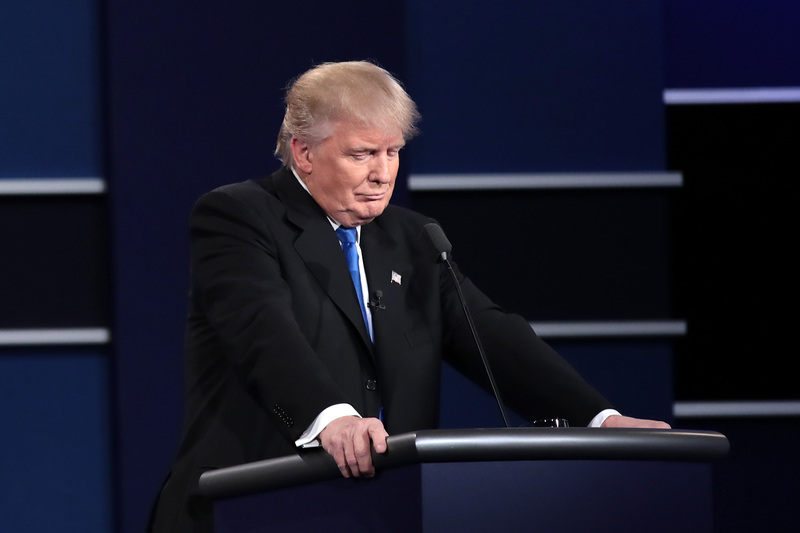 Noticing that Republican nominee Donald Trump appeared to have something of a sniffle going on, Twitter users immediately jumped on the opportunity to create the "Trump sniff" meme. The meme took a life of its own so rapidly that more than one subsequent "Trump sniff" Twitter account became a reality in no time at all, because really, in this insane election season, why not? The "Trump sniff" meme is hilarious, of course, because of the huge deal Trump made out of Clinton's health when she was reportedly sick at a Sept. 11 anniversary event. He engaged in so much concern-trolling about her illness that for him to then appear on live national television in his first presidential debate with a sniffle is just too ripe to not make fun of. The Clinton campaign is unlikely to comment on Trump's sniffle (and it's outrageous that I even have to type this), but that doesn't mean the rest of us can't revel in the completely no-holds-barred absurdity that is the 2016 presidential election season. If we're going to have to deal with such a massive farce as a Trump candidacy, we should at least have a bit of fun with it. While the "Trump sniff" continues to make its way around the Twittersphere, we'll all be reminded of this election's version of the "binders full of women" meme, and knowing that in a few years, we'll look wistfully (or incredulously) back at this debate and think about the good times we had. Just kidding — we'll all just be reminded of the time the American presidential election was basically a satire. But at least we'll always have the sniffles.